Home » Historical » Elizabethan » Should Museums Allow Costumes? Is it right that some major museums forbid patrons from wearing elaborate outfits? A New Jersey woman has made headlines around the world because she was turned away from New York’s Metropolitan Museum of Art for wearing an 18th Century dress. Nevertheless despite many commentators criticising museum dress codes the debate inspired by this and similar episodes is a difficult one. Eliza Vincz, 26, (pictured) was meant to deliver a pre-arranged talk on historical fashion but never got through the museum entrance. “I was furious and I was embarrassed,” she told NJ.com. “I felt like a criminal in the one place where I get a lot of the inspiration for my clothing. It hurt. It hurt terribly.” She said a security guard told her costumes are not allowed and so she had to leave. NJ also reported that the guard accused her of stealing the 18th century handcrafted robe a la francaise from the museum’s Costume Institute. “The Met doesn’t have a dress code but there are guidelines for what visitors can bring in and what activities are allowed in the galleries, and the Museum’s security officers are also there to ensure that anyone entering the building isn’t going to unnecessarily disturb fellow visitors or put the art at risk,” a museum spokeswoman said in a statement. In a similar case Gabriel and Sarah Chrisman of the blog This Victorian Life were turned away from Butchart Gardens in Victoria, Canada. They insisted that the 1890s outfits they wore everyday were clothes and not costumes and therefore did not break the gardens’ policy forbidding costumes. Gabriel Chrisman reported that they were offered staff uniforms to change into which they refused and the manager claimed the issue with the period dress was that visitors may have thought the couple worked for the gardens. The gardens noted that Disney theme parks, SeaWorld parks, and the Houston Museum of Fine Arts also have costume and mask restrictions. According to CBC News, Butchart said Sarah Chrisman would have been welcomed had she not refused to take off her hat. “Upon this refusal we immediately refunded all their costs including bus fare to the gardens, admission fee, meal costs, and they were provided a paid taxi back to Victoria,” the statement read. Would you allow novelty wigs from Amazon into Louis XIV’s bedchamber? While many costume fanatics will be quick to defend to the death our right to wear what we like where we like, especially at heritage institutions that should appreciate it, the issue is certainly a complex one. From one perspective the individual should have freedom of expression but on the other hand other members of the public have a right to peace in the institution. 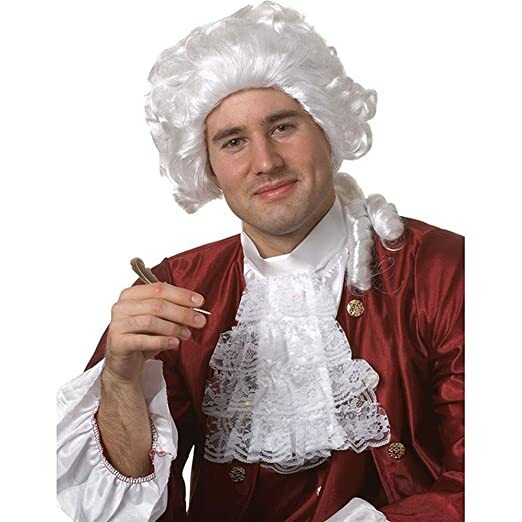 But historical dress is always appreciated, you say? Of course, but what happens when someone in fancy dress enters purely to make a scene? It could happen – think protests at the Louvre and British Museum over pillaged treasures or a Louis XIV stag-do at Versailles. That then means the rule of “no costumes” becomes even more subjective when forced to distinguish “costume” from fancy dress, and arguably base entry on the personality of the customer at the gate. Do qualifying costumes have to fit the period of the property and do they have to be historically-accurate? Equally while many costume fans are good authorities on their subjects it is important that visitors don’t assume them to be museum staff with the authority to discuss exhibits based on their own knowledge. This is not so much a case of historical accuracy as much as protecting the integrity of the museum. Opportunities like Versailles’ Fête Galantes ball also allow people to dress up with equally resplendent company for a more immersive experience. See Christine Yoo Millar’s story on embroidering a court coat for this very event. Ironically Stevenson said his relaxed romantic look had no trouble at Versailles. Sadly in researching this piece it became clear that while museums have valid reasons for their policies, many everyday venues like pubs are not welcoming of elegantly dressed people. On the other hand, numerous responses said they had got free entry to places for being dressed up. Ultimately dress is perhaps the last element of a person’s identity that can still be controlled in a modern society. Religious garments may have exemptions, but most people still have to dress a certain way for certain occasions. They have to dress for work and dress for venues with dress codes, both of which are unlikely to be the clothes they identify with. If a private property deems a dress code necessary to preserve the prime visitor experience then we should respect that. That is a disappointing reality for many of us – but at the same time lays down a gauntlet, not of what we cannot wear but what we can get away with. There are more angles and issues to this story than can possibly be covered concisely and this certainly isn’t concluded, but if you want to voice your view then consider joining our Facebook group of costume fanatics! 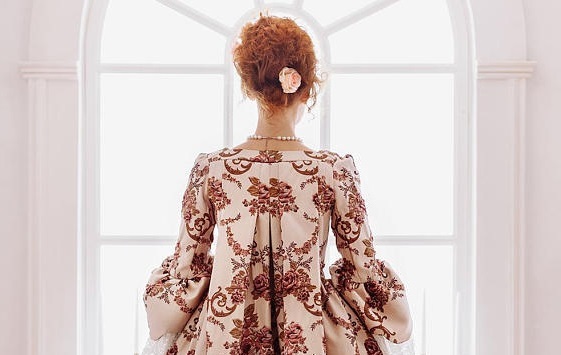 Header image by Royal Tailor featuring their stunning made to order robe a la francaise. In Brief: What is Cosplay?